I brought my camera outside with me on Halloween night since the birds were making a ruckus that night. I decided I would bother taking a picture if a bird or two landed right in front of me. 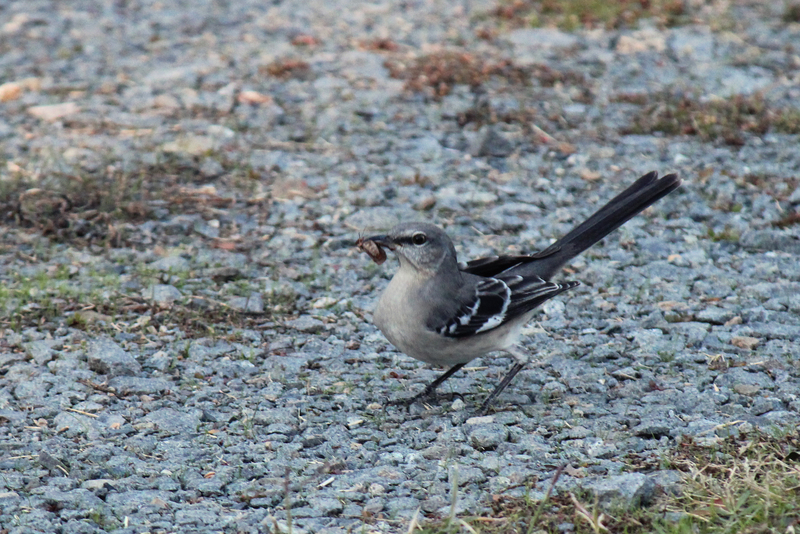 Well, a Northern Mockingbird did. An European Starling also landed on some telephone wires near me, which I considered was acceptable to photograph as well. 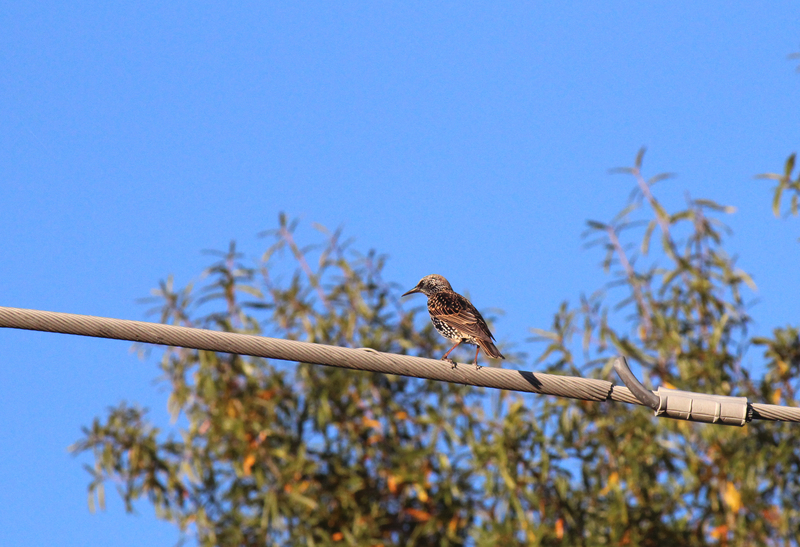 I have to admit, it’s tough identifying the birds, but its also exhilarating when I finally do figure out the names. Of course, I have to get a second opinion on my tentative discovery, but so far I’ve correctly identified the birds.